Hub Group is exploring a possible sale of Mode Transportation, an operating unit that provides truck and rail freight brokerage and logistics services. The move comes at a time when the Oak Brook, Ill.-based company is reporting a surge in business and big gains in profits. In a statement Aug. 1, Hub said it is exploring “strategic alternatives” for Mode, one of two freight brokerage businesses units that operate within the company. Proceeds from a sale would be used for investments in existing Hub businesses, including technology initiatives and for acquisitions of businesses in new and existing service lines, the company stated. Hub Group ranks No. 33 on the Transport Topics Top 50 list of largest logistics companies in North America and No. 12 on the TT list of largest firms in the freight brokerage sector. In reporting financial results for the second quarter, Hub Group posted big gains in revenue and profits. Net income was $22.1 million, or 66 cents a share, in the three months ended June 30, compared with $9.5 million, or 29 cents a share, in the same period a year ago. Gross revenue increased 27.7% to $1.18 billion in the quarter, while net revenue, which is gross revenue minus the cost of purchased transportation, was $136.2 million in the second quarter of 2018 versus $101.3 million in the same period in 2017. Breaking down results, gross revenue for intermodal services increased 17% to $526 million in the second quarter, reflecting gains in volume, price increases and higher fuel surcharges. Truck brokerage revenue was up 10% to $114.9 million, but the business unit handled 5% fewer loads. 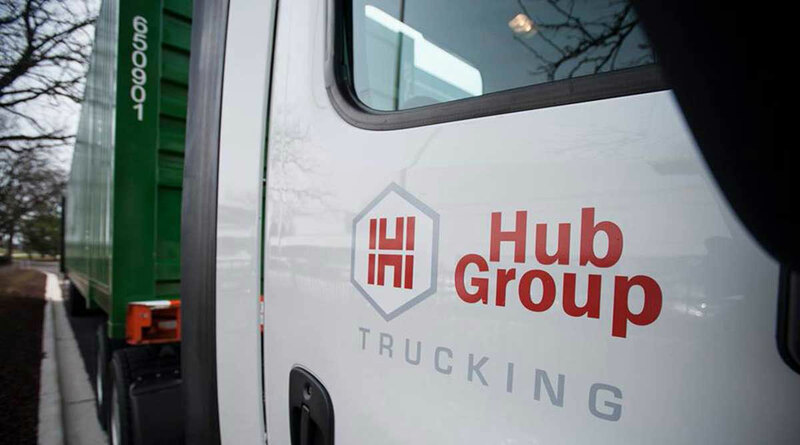 Hub Group Dedicated, a new business established after the acquisition of Estenson Logistics in 2017, generated revenue of $73.9 million in the second quarter, up sequentially from $60.4 million in the first quarter. Unyson Logistics, a transportation management firm, had revenue of $173.4 million, an increase of 17% from the prior year. Operating income for the group more than doubled to $24.8 million in the second quarter of 2018 from $10.4 million in the same period in 2017. Results for Mode Transportation showed gross revenue increasing 29% to $314.1 million in the second quarter and operating income gaining 15% to $7.1 million, Hub Group reported.